Carlsen is the two-time reigning World Chess Champion having first taken the title from GM Viswanathan Anand in November 2013 and later defending the title in 2014. He beefed up his already impressive resume in 2014 by winning both the FIDE Rapid and Blitz World Championships, making him the first-ever triple-crown World Champion of chess. Despite just 24 years of age, not much of Carlsen’s current resume comes as a shock; he has been on the chess world’s radar for more than a decade. Carlsen obtained his first IM norm in January 2003 and officially earned the title in August while still only 12 years old. He earned his first GM norm by winning the Corus Chess Tournament in January 2004 and was awarded the GM title that April. This impressive feat made him the third youngest GM in history at 13 years, 4 months and 27 days. Later that year, he became the youngest to appear in a Candidates Tournament - a tournament he has qualified for on four separate occasions. In early 2008, Carlsen made his first break into the world’s top five where he has since remained. In November 2009, he became only the fifth and the youngest ever to pass the 2800 rating barrier. FIDE named Carlsen the world’s No. 1 player for the first time in January 2010, making him the youngest to ever hold the highly-prized rank at 19 years and 32 days old. In January 2013, he passed former World Champion Garry Kasparov’s rating record of 2851 -- a bar Carlsen raised to 2882 in May 2014. He currently is rated 2853, a full 37 points clear of the world No. 2, Viswanathan Anand. Famous Washington Post columnist Lubomir Kavalek dubbed Carlsen the “Mozart of Chess” when he was just 14, a moniker that has since become entrenched by a recent CBS 60 Minutes interview. He is known for an endgame prowess amongst the greatest in history, as well as an unusually wide range of openings, which frustrates his opponents in their preparation against him. While growing up in Tamil Nadu, Anand learned to play chess at the age of six from his mother who was incredibly passionate about the game. Anand shared his mother’s love for the game and, by age 14, had become the National Sub-Junior Chess Champion. Soon after, he won the Indian Chess Championship three years in a row from 1986-1988. Anand became the first Indian grandmaster by the age of 18. In 1991, he proved he would have a bright future in professional chess by winning Reggio Emilia, the most prestigious tournament in Italy, leaps ahead of World Champions Garry Kasparov and Anatoly Karpov. The Indian player has brought a lot of pride and joy to his home country and is the recipient of several national awards. For 1991-1992, Anand won the first ever Rajiv Gandhi Khel Ratna Award, India’s highest honor given for achievement in sports. He then received the Padma Vibhushan, the second highest civilian award in the country, from the Indian president in 2007. Winning his first of five World Championships in 2000, he has been an elite grandmaster for decades. As one of only ten chess players to ever be rated over 2800, Anand peaked at 2820 in January 2011. Anand is making his first Sinquefield Cup appearance this year, coming in as the second highest rated player in the world at 2816. Taught to play at eight years old, Topalov was quickly discovered as a prodigy. However, he finally adopted into the game at 12 years old by IM Silvio Danailov who began a mentoring relationship that still exists to this day. Within two years, Topalov had claimed his first global crown as the 1989 World Youth Champion U14 and, three years after that, became a grandmaster. He has led Bulgaria’s national team since 1994. Topalov ascended into the world’s elite and soon began knocking on the door of the World Championship, coming close in 2002 by reaching the finals of the Candidates Tournament. Topalov broke through in 2005, emerging from an 8-player, double round-robin FIDE World Chess Championship with an outstanding performance rating of 2890 and winning the World Champion title by 1½ points. He lost his status the following year to GM Vladimir Kramnik in the highly controversial 2006 FIDE reunification match for the World Championship, but Topalov’s presence among the world’s elite never wavered. He has competed in several more Candidates Tournaments and was challenged again for the World Champion crown in 2010 against the then-reigning GM Viswanathan Anand. In this instance, Topalov narrowly lost by a 5½-6½ score. Ranked in the world's top-10 players for nearly six years, Nakamura has been the longtime U.S. No. 1 grandmaster. Along with two other hopefuls, GM Fabiano Caruana and GM Wesley So, now is their best shot to bring America its' first World Champion since Bobby Fischer. Nakmura has qualified for the Candidates Tournament for the first time this year as he placed second overall in the 2014-2015 FIDE Grand Prix. He is hopeful to challenge Magnus Carlsen in the 2016 World Chess Championship. A child prodigy in every sense of the word, Nakamura made a fast impact on U.S. chess by knocking down nearly every age record on his way to the top. At one time, he was the youngest American master in history (10 years, 79 days), the youngest American international master (13 years, 2 months) and eventually the youngest American grandmaster (15 years, 79 days) – breaking Fischer’s record by three months. Nakamura has collected numerous titles and championships since the age of 13 when he first arrived onto the national scene by becoming the 2001 U.S. Junior Champion. He quickly confirmed his place as one of chess’ great elites, shocking the world with a sweet sixteen appearance in the 2004 FIDE World Cup and then grabbing his first of four U.S. Championships the following year. He is a recipient of the prestigious Samford Chess Fellowship (2005), the 2007 National Open champion and a three-time North American Open champion. He was an individual bronze medalist in the 2006 and 2008 World Olympiad as well as the gold medalist on the first board of the 2010 World Team Championship, where the United States placed second. This chess player only gets better as he gets faster, gracing the top of the world in Blitz chess when FIDE began publishing its list in 2014. Nakamura finished with bronze at the FIDE World Blitz Championship in June 2014 and currently sits at No.1 on FIDE’s Rapid rating list at 2850. Fabiano Caruana is an American-born, yet purely Italian, grandmaster whose rapid advance into the elite ranks of chess has earned him the reputation as the next rival to Magnus Carlsen for the World Championship. He is currently No. 5 in the world with a rating of 2808, only the eighth player in history to pass the 2800 barrier. The 23-year-old was born in Miami, Florida and introduced to chess through an afterschool program as a five-year-old in Brooklyn, NY -- living in the same neighborhood where Bobby Fischer was raised. He played in his first tournament that same year at the Susan Polgar Chess Center in Queens, NY. This eventually led him to landing his first coach in NM Bruce Pandolfini at the young age of six. At 10, Caruana became the youngest American to defeat a grandmaster in a sanctioned event. By 12 years old, he was a FIDE master, winner of several national scholastic championships as well as two-time gold medals winner in Pan-American Youth Championships. From there, chess was his future, and his family moved to Europe to see it through. He officially switched federations to Italy in October 2005, though he still shared dual citizenship with the U.S. and remained a good-standing Life Member of the USCF at the time. He found homes in Madrid and Budapest, as well as coaches in IM Boris Zlotnik and GM Alexander Chernin. At 14 years, 11 months and 20 days, Caruana became the youngest GM in the history of both Italy and the United States, beating out the previously set record by Hikaru Nakamura. Today, Caruana is a four-time Italian national champion and one of the hottest players on the global scene as one of only five players currently above the 2800 rating barrier. His first place performance in the 2014 Sinquefield Cup was one for the ages; Caruana won his first 7 games and finished undefeated with 8½ out of 10 points. This Dutch chess prodigy has truly lived an international life. Born in Russia in 1994 to a Russian mother and Nepalese father, Giri learned the game from a very early age. At the ripe age of eight, his family moved to Sapporo, Japan, where he became a member of the local chess club. In 2008, Giri moved to the Netherlands and began playing for the national team right away. Giri is fluent in six different languages: English, Dutch, Russian, Japanese, Nepalese, and German. Giri had great success as a junior including winning first place in both the Russian Higher League U14 Boys Championship and the St. Petersburg Boys U16. In 2008, he won the Blokadny St. Petersburg Open and the Petrograd Winter Open. In January 2009, Giri split second place at Corus Chess Group C in Wijk aan Zee to earn his final GM norm and achieve the grandmaster title at the age of 14 years, 7 months, and 2 days. The following year, he won the Corus Chess Group B with 9/13 points. Giri is also a four-time Dutch Chess Champion and has represented the Netherlands at three Chess Olympiads. In 2012, Giri won the 54th Reggio Emilia Tournament despite coming in as the lowest-rated participant. He is the youngest player to ever win the prestigious Italian tournament. The 2015 Sinquefield Cup will see the first participation from grandmaster Wesley So, who recently transferred to the U.S. Chess Federation from his home country, the Philippines. His arrival to the USCF was synonymous with his arrival as one of the World’s top-10 players. So has already begun pushing the envelope to become the nation’s highest-rated grandmaster, a title Hikaru Nakamura has owned for years. So learned chess from his father at age six and was competing in junior tournaments by nine years old. By earning his grandmaster title at the age of 14 years, 1 month, and 28 days, So completed the trifecta as the Philippines’ youngest-ever national champion, international master and grandmaster. Considered a chess prodigy, he is the tenth-youngest GM in the world. So came to the U.S. in August 2012, enrolling at Webster University in St. Louis and guided by Susan Polgar and her SPICE Program. There, he made the jump from top-100 to top-10 in the world, entrenching Webster as a powerhouse collegiate program and leading the school in back-to-back national titles along the way. Last October, So won the inaugural Millionaire Open in Las Vegas, along with its $100,000 prize, then returned to St. Louis to lead the Arch Bishops to their first-ever U.S. Chess League Championship. So participated in his first world-elite tournament with a fourth-place result in 2014 at the 77th Tata Steel Chess Tournament in Wijk aan Zee, Holland. He returned this past January and tied for second place, just a half-point behind winner and World Champion Magnus Carlsen. Introduced to the game by his father at age four, Grischuk had phenomenal success as a junior player. The Moscow native piled up championship victories in the 1990s by winning the U10, U12, U14, and U16 Russian Championships. Already on the international chess radar at a young age, 16-year-old Grischuk was already top-100 in the world and famously reached the semifinals of the 2000 FIDE World Championship, losing to Alexey Shirov in the penultimate round. Well-known for being one of the best blitz players in the world, Grischuk is the winner of two World Blitz Championship – first in 2006 and later in 2012. In addition, he won the Moscow Blitz Championship in 2009. He is also one of the world’s strongest rapid players, winning the 2010 Amber Tournament (Blindfold). In 2014, he added to his resume by winning both the blitz and rapid sections of the Mind Games in Beijing. A long time member of the Russian national team, Grischuk has represented his federation in seven Olympiads including the gold medal winning teams in 2000 and 2002. He has also competed in five World Team Championships earning three individual gold medals and one silver medal. Grandmaster Levon Aronian is a walking celebrity and the pride of chess-strong Armenia. He's been declared Sportsman of the Year twice, Honored Master of Sport in 2009, and named the 2012 Person of the Year by a leading national magazine. The 32-year-old was the sixth player in history to cross the elite 2800 threshold and reached a career-best 2835 in 2014. Aronian is currently ranked No. 11 in the world and rated 2765. Taught to move the pieces at nine years old, Aronian was quick to appear on the world stage, winning the 1994 World Youth Chess Championship U12. In 2002, at 20, he won the Armenian Championship and later the World Junior Championship in India. However, Aronian's mainstay in the world’s elite was marked in 2005 when he won the World Cup in Russia and cracked the world’s top-10 for the first time. Since then, Aronian has collected a staggering amount of elite titles. He played the first board on three gold-medalist Armenian Chess Olympiad teams (2006, 2008 and 2012), and he also grabbed the individual gold in 2012. He has won the FIDE Grand Prix twice, the prestigious Tal Memorial three times, and the Corus/Tata Steel Chess Tournament four times, one of which includes the 75th anniversary earlier this year where he beat the field by 1.5 points. Not just confined to classical chess, Aronian was the 2009 World Rapid Champion as well as the 2010 World Blitz Champion, though both titles have since been claimed by the now triple-crown World Champion Magnus Carlsen. Aronian is also a talented chess variant player, becoming the Chess960 World Champion in 2006. He successfully defended the title to Viswanathan Anand in 2007, though lost it in 2009 to Hikaru Nakamura. 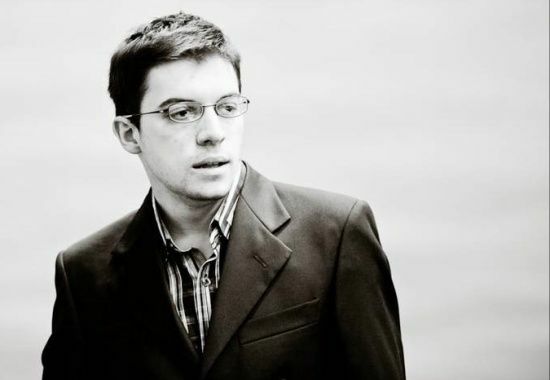 Maxime Vachier-Lagrave is France’s No. 1 grandmaster. Widely regarded as a resourceful risk-taker, Vachier-Lagrave is quite often a fan-favorite amongst his tournaments where he regularly delivers some of the most exciting games of chess. As the 13th youngest GM in history, earning the title in 2005 at just 14 years and 4 months, Vachier-Lagrave was a child prodigy discovered quite early in his life. He was on France’s national scene at just six years old, winning the U8 section of the Montlucon tournament in 1997. Conquering sections well above his age would become a theme in his young life; Vachier-Lagrave participated in France’s U16 Team Championships since 1997, winning seven points in seven games on the first board in both the 2004 and 2005 events. Vachier-Lagrave was competing in his first World Youth Championship in 2000 at just nine years old, finishing with a bronze medal that year, as well as 2001 and 2005. He then won Paris’ Championship in 2007, and continued that year by winning his first of three French National Championships at just 16 years old. Soon, Vachier-Lagrave became the World Junior Chess Champion, winning the title in Argentina 2009 with a score of 10.5/13. Now at age 24, Vachier-Lagrave’s appearance amongst the world’s elite has confirmed what France knew about him as a youth. He was dubbed the winner of the 2012 SPICE Cup here in Saint Louis at Webster University in 2012 and was a semifinalist at the 2013 Chess World Cup, despite entering as the 23rd seed. There, he lost to, eventual winner, Vladimir Kramnik. This year Vachier-Lagrave is making his second appearance in the Sinquefield Cup.